Do you want your wedding and all the festivities that go with it to be as unique and wonderful as the two of you? Allow An Olive Ovation to share with you all that we offer to make your wedding spectacular. Look over our international selection of expertly crafted gifts and gourmet foods that make distinctive wedding party presents, table favors and welcome baskets for out-of-town guests. Your wedding party deserves the best; a thoughtful gift to commemorate your special day. 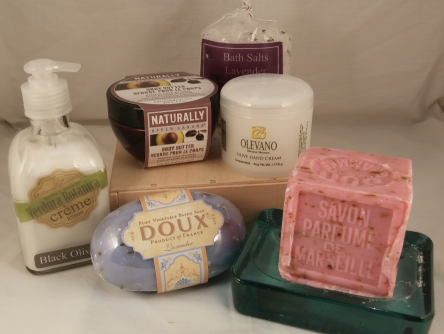 A custom designed basket of imported olive oil soaps, bath salts, body butter, chocolate, and sparkling wine is just what the girls need for a day of pampering and relaxation. Your groomsmen will be impressed with an olive wood handled wine waiter or pocket knife, complete with leather case, from the renowned French knife makers in Laguiole. 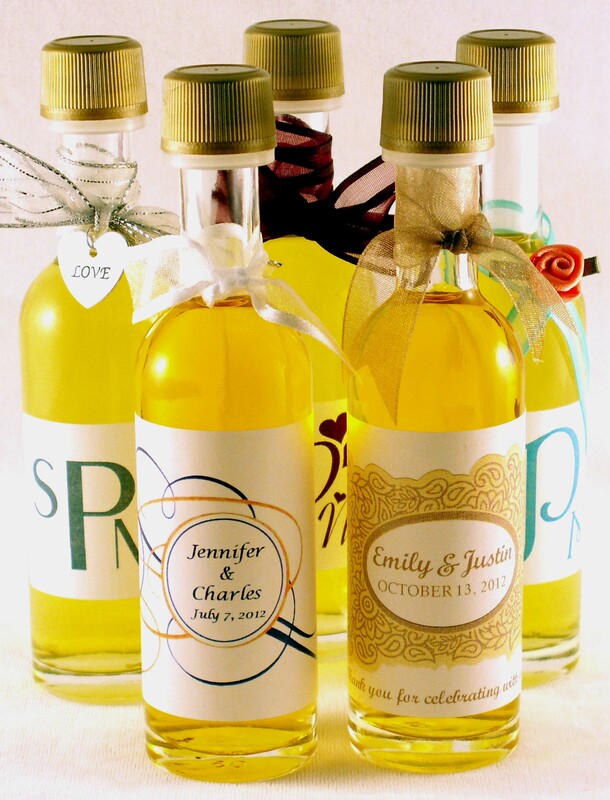 Would you like exceptional favors for you shower, rehearsal dinner or reception? Our mini bottles of extra virgin olive oils and balsamic vinegars are a great choice. We will create a custom personalized label that can include your own wedding message to your guests and you can add a packet of our signature olive oil dipping spice for a special touch. Several of our customers have used these bottles as their place cards. Your guests will be surprised and delighted to take home something so thoughtful and delicious. Is a friend or family member looking for a unique theme and venue for your shower? Consider a tasting party at An Olive Ovation. Your guests can sample over 100 items on our tasting bar while they enjoy appetizers and wine while learning about easy entertaining with our recipes and imported specialty foods. We can work with you to customize the experience to make it uniquely your own. Your out-of-town family and friends will love our martini madness glazed almonds (they look like olives!) or true Marcona almonds from Spain with tapenades, olive oils crackers and artisan baked goods for a most enjoyable welcome basket. Our impressive assortment of savory and sweet specialty foods is sure to please any palate. Our wine selection has been carefully paired to our extra virgin olive oils, so we will have one just right for your basket. Every bride falls in love with our bridal registry. At An Olive Ovation we elevate entertaining to an art form with our handcrafted ceramics, specialty cookware, olive wood culinary accessories and imported kitchen and table linens. You can even register for Olive Ovations, our olive oil and specialty food club.